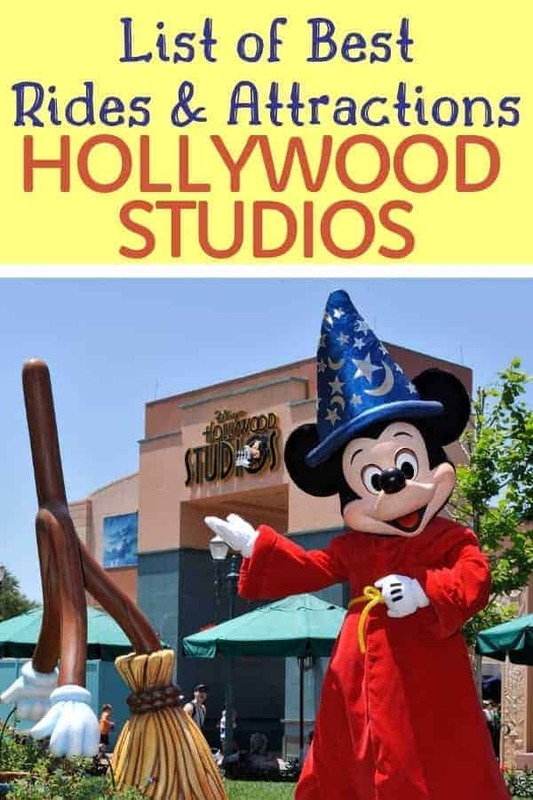 2019 is going to be the year to go to Hollywood Studios. With the opening of Toy Story Land in 2018 and Star Wars Land in 2019, there are going to be many new Hollywood Studios rides and attractions that you will want to check out. If you aren’t familiar with Hollywood Studios in Orlando, it is Disney’s third theme park in Walt Disney World. Originally named MGM Studios when it opened in 1989, it changed names to Hollywood Studios in 2008. Within Hollywood Studios theme park, you will find all of the rides, attractions and shows taking on a old Hollywood theme. This is most apparent in the construction of the park with the names of the streets and the replica of Grauman’s Chinese Theater that takes center stage. Hollywood Studios is not divided into lands like Magic Kingdom & Animal Kingdom; instead the park is divided into sections based on street names (with the exception of Toy Story Land). Each section has it’s own attractions, shows, shops and restaurants. Hollywood Studios is a great park to visit with your entire family because there is something for everyone. Small children will love seeing their favorite Disney Junior characters in person, while teens will appreciate the areas dedicated to Star Wars and thrill rides like Hollywood Tower of Terror & Aerosmith’s Rockin Roller coaster. Those who don’t like rides, can enjoy Broadway style theater performances and dining experiences where you can venture back into a bygone era. Chances are, you are going to try to get FastPasses for some of the more popular rides in Hollywood Studios. What you will find is that it is nearly impossible to get Fastpasses for Slinky Dog Dash. If you are unable to score a FastPass for Sinky Dog Dash, I suggest you plan to arrive as soon as the park opens so you can head straight to Toy Story Land. Read about our tips for getting on Slinky Dog Dash. If you do score a FastPass for Slinky Dog Dash, know in advance that you can only get one FastPass for the rides in Toy Story Land. That is because they are considered a Tier 1 ride. You will be able to choose two FastPasses for Tier 2 rides, but none of them are in Toy Story Land. Wondering which rides & attractions you should prioritize while in Hollywood Studios? If you are planning a trip to Disney World in 2019, you will want to make sure that you give yourself plenty of time to enjoy all of the Hollywood Studios rides and attractions. Going to Hollywood Studios at Christmas? Find out what you can expect to find at Hollywood Studios in December.